Boat Race Festival - Boat Race Festival in Kerala is one of the most awaited festivals of kerala, which is celebrated during the harvest festival season of Onam. 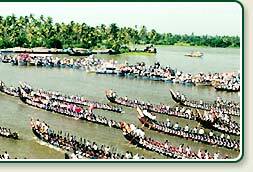 Boat race reflects the enthusiasm and jubilance of people during the celebration of their main festival, Onam. Various types of boat race are held and each are distinct from one another. Scores of long snake boats and other smaller crafts participate in these events. Hence the festival is also known as Long Boat Racing Festival. The largest team sport in the world,the snake boat races are preceded by colorful water parades. The snake boat race is the most exciting of all race, which is manned by four helmsmen, 25 singers and 100 - 125 oarsmen. 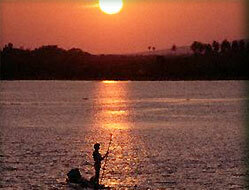 These oarsmen row in unison to the fast rhythm of the Vanchipattu (song of the boatman). Thousands of people crowd the water's edge to cheer the huge black crafts as they slice through the waters to a spectacular finish. There are four most important boat race, which are the oldest and most important events. 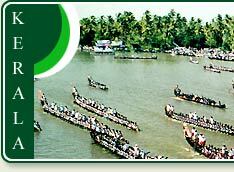 These are Champakulam Moolam Boat Race, Aranmula Uthrattadi Vallamkali, Payippad Jalotsavam and Nehru Trophy Boat Race. It is the oldest and most popular snake boat race in Kerala that is closely connected to the Sree Krishna Temple at Ambalappuzha. 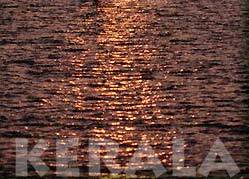 The race is held on the Champakulam Lake on the day of the installation of the deity at the Temple. An exotic procession of water floats, boats decorated with colorful parasols and performing arts greets the spectator before the race. The race proper is held in various stages for various categories of boats. The three day annual fiesta on the Payippad Lake, 35 km from Alappuzha, commemorates the installation of the deity at the Subramanya Swamy Temple, Haripad. The Nehru Trophy Boat Race, the most colorful water sport in Kerala, is conducted at Punnamada Lake in Alappuzha on the second Saturday of every August. Though it is a festival, the attraction about this is the sportive spirits among the participants of the race. In the year 1952, Pundit Jawaharlal Nehru visited the erstwhile Travancore - Cochin. On his way to Alappuzha from Kottayam the people of Alappuzha, escorted by the huge snake-boats, gave him a roaring reception. Having gone through the tremendous excitement of sailing in a snake-boat popularly known as Chundan, Jawaharlal Nehru donated a rolling trophy to be awarded to the winner. The trophy is a replica of a snake-boat in silver, placed on wooden abacus on which the following words of Punditji are inscribed above his signature. So plan a boat race festival tour in Kerala to enjoy this most amazing and unique boat race festival.